Kerry's Longest Established Coach Company. A reliable, friendly and professional service. The ultimate travel experience with Kennedy Coaches at the wheel. Contact us today to book with Kennedy Coaches. Established in 1950, Kennedy Coaches is now operated by the second and third generation of the Kennedy family, Paddy & Patrick Kennedy. With over 65 years’ experience in the coach business we have a proven record in providing a reliable, friendly and professional service. Your safety and comfort is paramount and we have a fleet of modern coaches to ensure that your journey is as comfortable & enjoyable as possible. 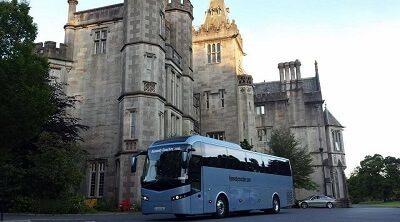 Whether you are on a golfing or sightseeing tour, a group excursion, a corporate event, a school, university or society outing we will ensure that you have the ultimate travel experience with Kennedy Coaches at the wheel. Our Services. We will ensure that you have the ultimate travel experience with Kennedy Coaches at the wheel. "Paddy, we made it back to the States and wanted to express our sincere thanks for the wonderful time we had in Ireland. It was truly a magical experience for me, Noreen and Lindsay and we could not have been more pleased with having you as our driver for the week. Your knowledge of the country and its history really made the entire experience one we shall remember for a lifetime. On a personal note, I enjoyed getting to know you. You’re a man of great integrity and take pride in your work. We were so fortunate to have you show us around. We hope to come back to Ireland one day and, when we do, there's no one I'd rather have behind the wheel with us. Thanks for your kindness, hospitality and patience throughout our trip. We return to the U.S. with fond memories we'll cherish forever." "Just a note to thank Kennedy Coaches and especially our guide Paul Walker for his outstanding attention to detail and ability to know what we needed before we need it. He made our golf trip memorable that much more by his professionalism and friendship." Ireland has an abundance of world class golf clubs and we look forward to sharing them with you. Beautiful links courses compete with the wild Atlantic Ocean for a golf experience that is like no other. We travel the length & breadth of Ireland to offer you a golfing holiday of a lifetime. 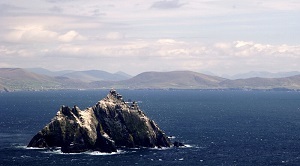 Famous for its lush unspoiled landscapes & rugged coastline, Ireland is ideal for a sightseeing holiday. With a rich history, beautiful scenery, native dance, sports & the traditional Guinness to be sampled, Ireland is waiting to welcome you with its famous Céad Míle Fáilte or one hundred thousand welcomes. Our executive coaches are the perfect fit for our corporate clients. Equipped with all you need to work or relax between meetings, coupled with our professionalism & attention to detail, we ensure that you and your clients get the five star service you expect from an executive coach company.